Virtualization isn’t a new concept for today’s IT professionals. In fact, most organizations have already virtualized compute functions across the data centre. But as digital businesses continue to evolve, compute virtualization alone is no longer enough to keep up with rising demand. Data volumes continue to grow at a rapid pace, making storage one of the most critical functions of the data centre. But a hardware-centric approach to storage simply can’t meet the needs of modern business. It comes with high price tags, long provisioning and deployment times, and performance hurdles. At a time when IT is struggling with stretched labor resources and budget constraints, traditional approaches to storage are holding it back. 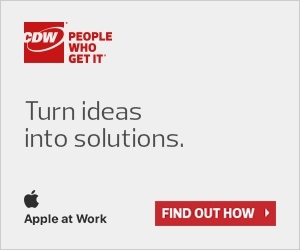 Why CDW + VMware vSAN? In a Software-Defined Data Centre (SDDC), compute, storage, and networking are fully virtualized and controlled by software. This approach gives organizations the flexibility and control required to move at the speed of business. But to achieve these benefits, a solid foundation is necessary. Change begins at the infrastructure level. Hyper-converged infrastructure (HCI) collapses compute, management, and storage onto industry-standard x86 servers, enabling a building-block approach to the SDDC. By integrating compute and storage in a single software stack, HCI offers higher performance, scalability, and lower CapEx costs compared to traditional storage. With HCI powered by VMware vSAN,™ key data centre functions run as software on the hypervisor in a tightly integrated software layer—an approach that is transforming IT organizations around the world. The single stack VMware HCI solution delivers in-kernel optimization of I/O data paths, better resource utilization, and the ability to take advantage of native VMware vSphere® features like vMotion and DRS. Tightly Integrated with vSphere: vSAN is built into the vSphere kernel, optimizing the data I/O path to provide the highest levels of performance with minimal impact on CPU and memory. Flash-Optimized: vSAN minimizes storage latency with built-in caching on server-side flash devices. New vSAN 6.6 optimizations deliver up to 50% more IOPS than previously possible. vSAN all-flash can be deployed for less than a $1 per GB of usable capacity – over 50% less than the cost of competing hybrid hyper-converged solutions. Granular non-disruptive scale-up or scale-out: Non-disruptively expand capacity and performance by adding hosts to a cluster (scale-out) or just grow capacity by adding disks to a host (scale-up). 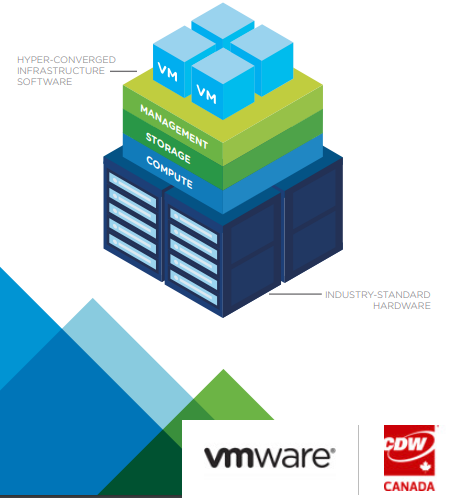 Contact your CDW account manager today to learn more about VMWare vSAN!